"Professional Audio with no compromises"
Welcome to Tap N Tune. 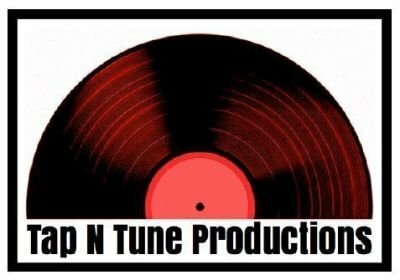 We are your professional "one stop shop" audio production company. If you are an artist looking to record or mix your next project, a producer looking for high quality drum tracks/samples, or need help arranging or producing your next single, then look no further. As graduates of the Conservatory of Recording Arts and Sciences in Tempe, Arizona we specialize in offering creative tailored solutions for all your studio needs. With over 10 years experience in the music industry we have worked with top "A" list studio clients in Nashville, TN, served the pro-audio community with sales and consultation, as well as set up and managed live sound for corporations, houses of worship, and local town events. Our combined experience and understanding of both the music industry and the pro audio world enables us to successfully provide a wide range of professional services to our clients. At Tap N Tune we have developed a reputation for delivering professional results at the most competitive and affordable prices around. While your here, please take some time to browse around on the site and get acquainted with us and our services, and if you have any questions please use the contact form, and we will be in touch shortly. "Tap in and Tune out". Every song starts with an idea, a melody, or hook, but when you assemble it altogether you need to concentrate on your arrangement. Do you have a vision for an album, but need a producer? I can help you get started with your next recording. Have you recorded a song or an e.p. but need it professionally mixed? Look no further. Using Pro Tools 12 industry standard DAW we can get your mix sounding radio or release ready! 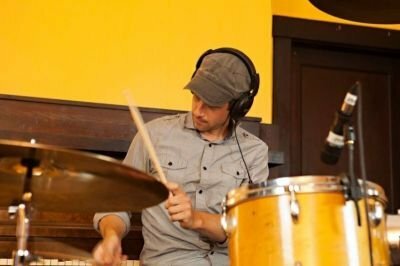 With over 25 years of drumming/percussion experience and over 10 years of engineering and recording experience I am passionate about recording drums. Need drum samples for your next production? We have two sample packs available for sale. We will mix your song to perfection! Fresh drum tracks for your song. Need to talk to a producer about your upcoming project? At Tap N Tune we offer professional advice or consultation before beginning your project. Yes, we are here for you. We offer this service to our clients so that we can determine the scope and vision of your project, and offer specific advice and services related to it. We understand that every project is unique, therefore we designed this consultation service as way in which to discover the creative goals with respect to the uniqueness of the vision of the artist. By taking into account these details, the producer is able to offer keen advice and therefore effectively strategize with the Artist, in order to reach a mutual understanding so that both the artist and producer feels confident about the project moving forward. We want you to succeed with your next project, and we are here to offer solutions in order to make your musical dream a reality with Tap N Tune productions. What are you looking for in your mix? Once we can determine what needs to be done, then we will go to task in sculpting a punchy and dynamic mix for you. We mix in the box using a variety of Waves plug-in's and signal processors to give you a finished final mix that you will be proud of. Our mix rates are $150 per completed song and we will give you a total of 4 mix revisions upon request. Need drum tracks for you next project? Send me your instrumental mix of your track, and I will add drums to it, and then send you the bounced down drum files. That easy. I can provide my clients with raw unprocessed wav files of the individual drum tracks or give you a more "mix ready" drum sound with processed sound via a stereo wav file. My drum processing involves phase aligning the individual tracks and then I add individual eq, compression, saturation to taste, along with group and parallel processing for the best result. My clients love my drum sound, and I know you will too. We have two incredible sample pack to offer our clients wanting fresh drum samples. The 1st sample pack is called: CAJON. This cajon/percussion sample pack is great for acoustic/singer songwriter mixes, when you need a more organic touch. Includes djembe and various clap samples, along with table hits, and other elements such as cymbal swells. The 2nd sample pack is called ADORO. This sample pack was professionally sampled from a beautiful German Adoro drumkit with Aegian cymbals. This sample pack also includes room mic sounds so you can get even more creative with your drum productions.